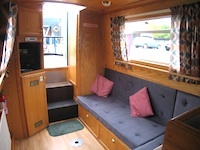 The Troutbeck Valley Canal Boat | Narrowboat Hire Booking. 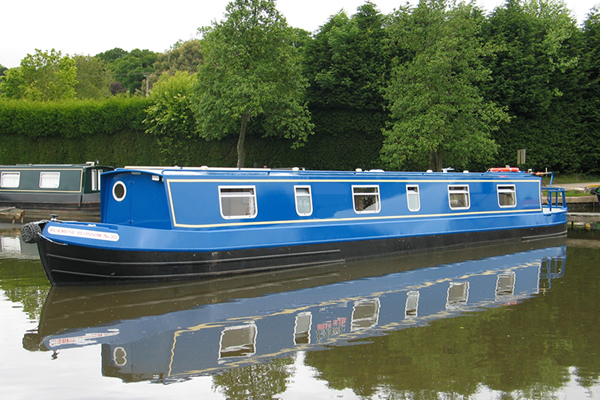 The ABC6 class canal boat is rated 4 Stars and can sleep up to 6 people. 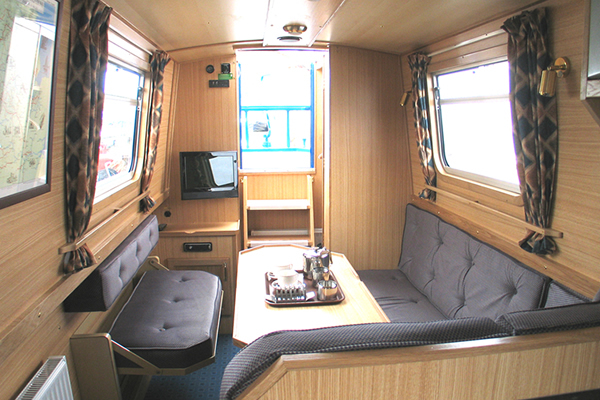 DESIGN: This boat is a 55ft long, 6 berth cruiser stern narrowboat. It has a quiet water-cooled diesel engine with simple to use controls. KITCHEN: The kitchen is fully equipped and has a 4 burner gas cooker with grill and oven, microwave, refrigerator; sink and drainer; saucepans; cooking utensils; crockery and cutlery appropriate for the number of berths. There is plenty of storage space and work surfaces. BATHROOM: The bathroom comes complete with a wash hand basin, shower or hip bath/shower. A 240v shaver socket is also available. 2 toilets on board. There is full radiator central heating on the boat. A 200 gallon water tank supplies the hot and cold running water. There is a double-filtered drinking water system. This boats sleep up to a maximum of 6 People. © 2007-2019 - All rights reserved. canalboatholiday.net for canal boat holidays.